These days local tourists can be in one place today and in another destination the next. The booming air travel industry and progressive commute routes are helping a lot of local travels to be more frequent and exciting. The prospect of visiting nearby provinces is always a stress-reliever, but what if Metro Manila residents can't afford the pricey airfare or have no time to spare out of their hectic schedule? I recently tested a few day trips for their enjoyment, ease of travel, and encore factors that city dwelling residents of Metro Manila can appreciate. The result is a set of three destinations that I'm recommending to be worth one's repeat visits. 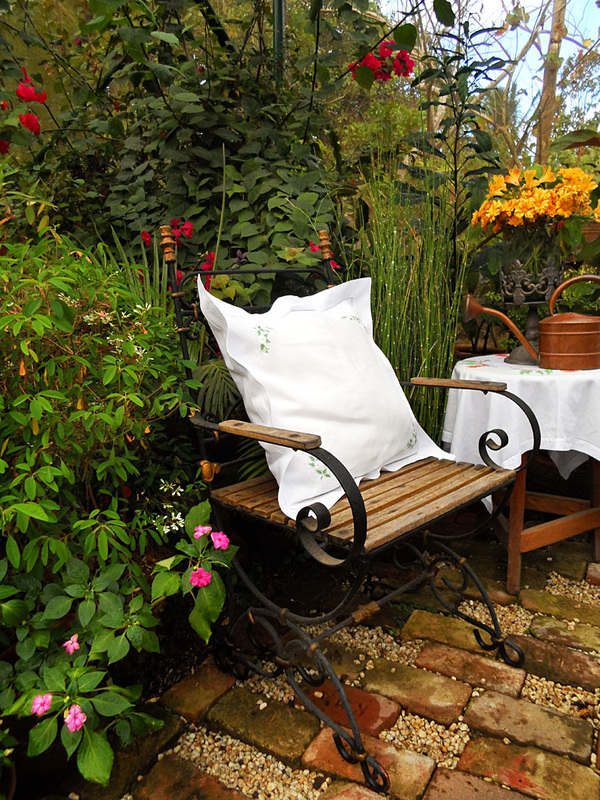 Famous as a multipurpose garden hideaway, Sonya's Garden is a back-to-nature property where guests can walk in to do sight-seeing of an array of scented and non-scented plants and flowers, sample organic meals and bread or indulge in mild spa treatments that use natural scents and oils. Tests: I did the necessary stroll in the sprawling garden property and the experience left my eyes refreshed with so much mesmerizing greenery. 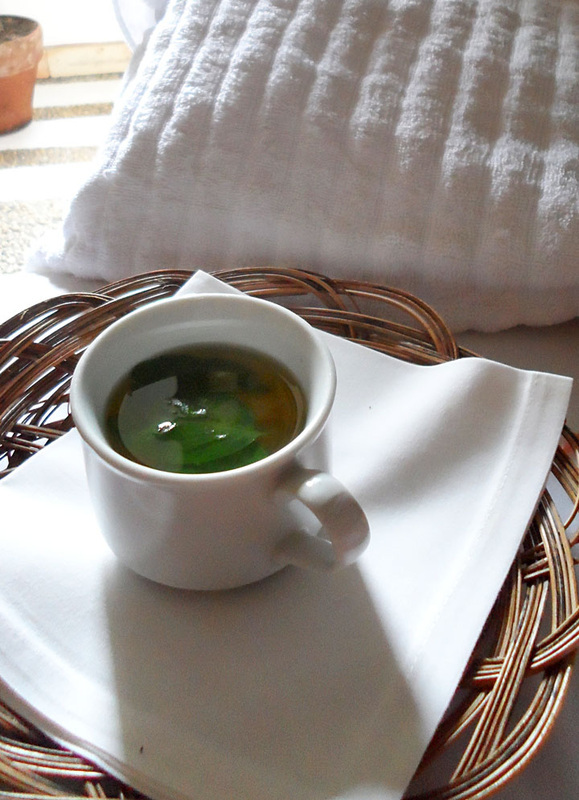 I also sampled two spa treatments -- the scalp massage and facial -- that left me feeling rested after my stroll of the place. Before going home, I purchased from the garden's bakery a dozen pandan-laced pan de coco. 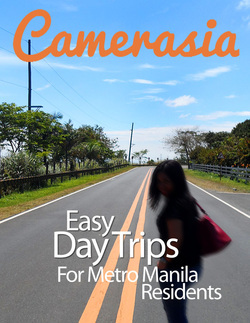 Read more on Turista Trails. Tanay, Rizal may be infamous for peddlers of faith healing and sympathizers of NPA (New People's Army) rebels, but the highway that passes through it is well-made that it's also a favored route of bicycle and motorcycle enthusiasts. 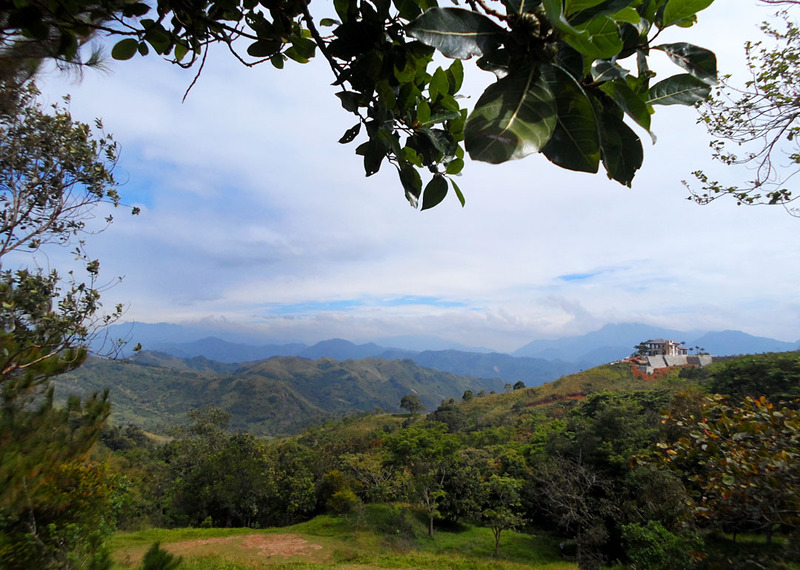 The bonus view of the splendid Sierra Madre is quite an eye candy. Tests: My sight-seeing started on my space inside the jeepney ride from Cogeo. 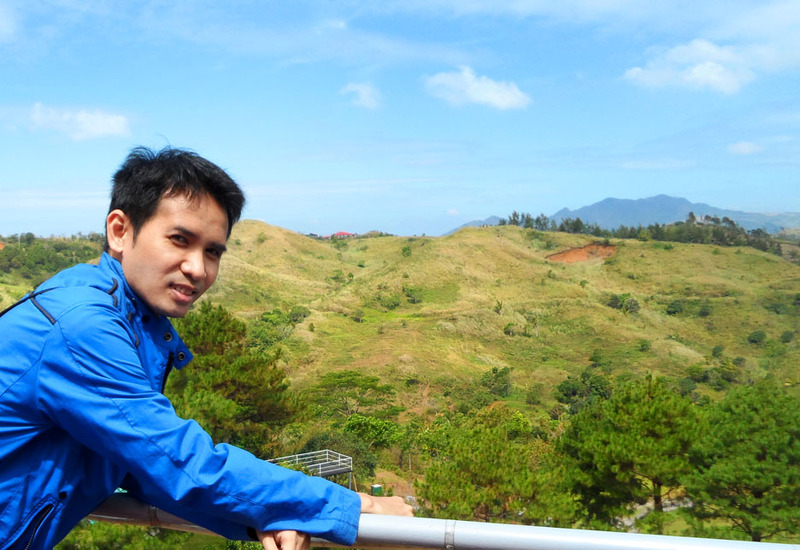 The wonderful view of the Rizal mountainside was breathtaking and a real boredom killer. I had my vantage view of the Sierra Madre from the Sierra Madre Hotel & Resort's viewing deck where I also had my brunch. The cool breeze and the scenic view of nearby Quezon Province allowed me to enjoy nature without having to commute by bus for more than 3 hours. 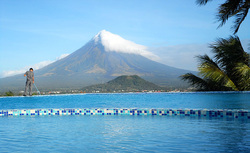 I grew up knowing Calamba, Laguna to be famous for its hot spring because it's also where Mount Makiling is. I've seen lots of small and medium-scale resorts in the area but did not find anything impressive until I spotted online images of 88 Hot Spring Resort & Spa. The vast property of various hot spring jacuzzis and two main swimming pools made me visit the place. I did not expect to see more than that. Tests: My simple stroll of the place was remarkable. The well-manicured garden areas were quite charming. 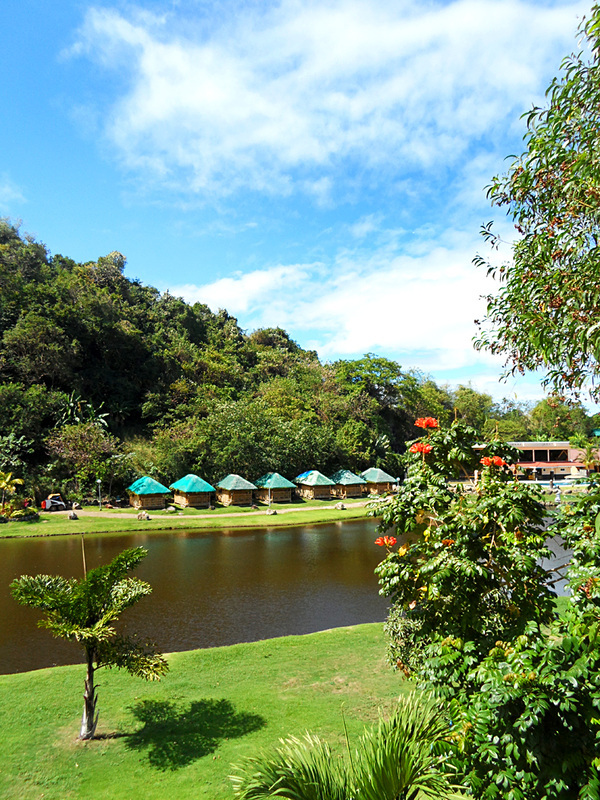 The man-made lagoon next to Mount Makiling added to the wonderful experience. I tested one of the main pools and found its lukewarm water and surrounding layout of villas similar to experiencing Acuatico in Batangas. My dip in the resort's two hot spring jacuzzis proved to be educational as a signage per jacuzzi informed me what the assigned hot temperature was for. 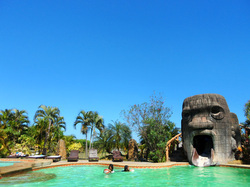 Entrance Fee: P500 is the day trip fee that lets you access all pools, including the garden, a locker and bathrooms. The destination should offer more than one activity to do so that the day trip will be memorable and worth the effort. A day trip must not eat your commute schedule. If you can't reach the destination by lunch time when you left your house in Metro Manila at 7:00am, the trip is worth an overnight accommodation. Your initial visit of the destination should be shared with loved ones. The opportunity for them to experience it with you can be during your repeat visit of the destination. Always consider your commute back to the city. The quality of road traffic that you'll experience will be dependent on the time of your departure from the destination. It's always best to just repeat the route that you took going to your target location than experimenting with another route that you did not plan ahead for. People stay in Metro Manila budget hotels for a lot of reason. 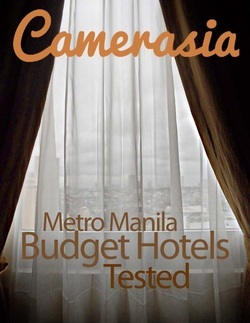 Budget-conscious foreign and local tourists who have no acquaintances residing in the National Capital Region (NCR) end up in a so-called econotel or a standard class hotel. Some stay for a night as a jump off point to a provincial destination. 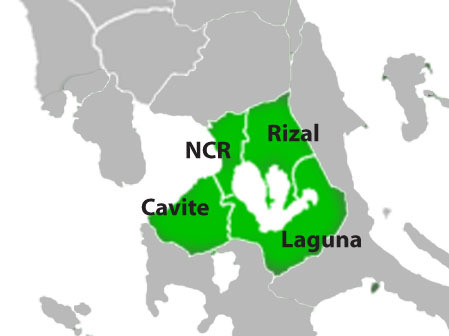 With progress in Metro Manila comes living hazards such as petty crimes. No tourist would like to be subjected to pick-pocketing or large scale theft. The worst that could happen is figuring in a homicide. The next worse thing is finding out that the room you're in was a one-time crime scene. Any tourist would feel uncomfortable even if they pretend to not mind. Tune Hotel works on a customized system of service for guests. Booking a room at this hotel is like scanning the menu of a fast food joint. They initially offer a standard class room with basic inclusions like a bed and a bathroom. You are given the option to choose between access to a fan or the air conditioner. The rate, as a result, starts affordable. The Tune Hotel I tested was in Makati City. Good Quality: I loved how the bed and pillows are of first class quality (it felt like the room cost P3,000). 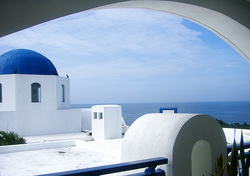 The edge of this hotel with other budget hotels is the provision of a view. 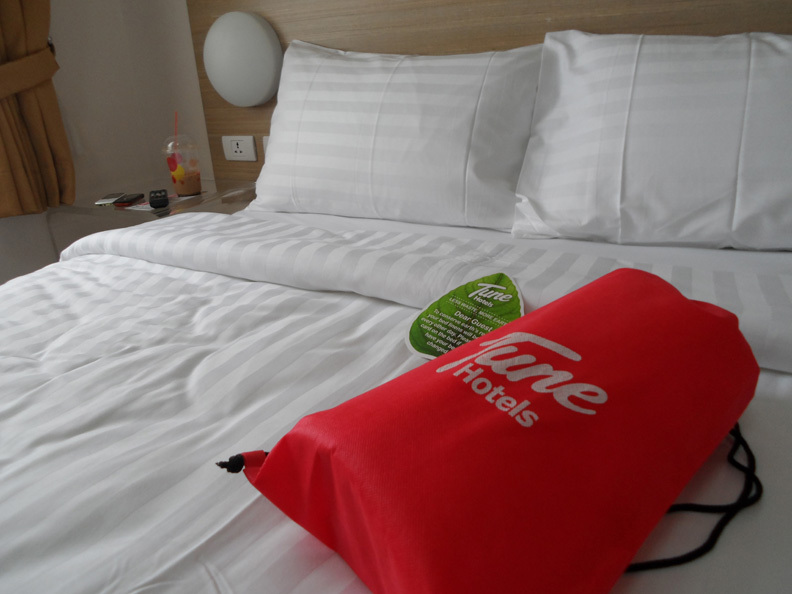 Go Hotel is another econotel that I tested. The place's rooms are as bare in design as Tune Hotel. 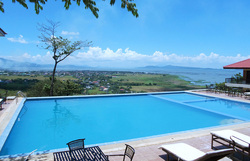 Since the room rate is quite affordable, local and foreign guests are encouraged to book months or even a year before. 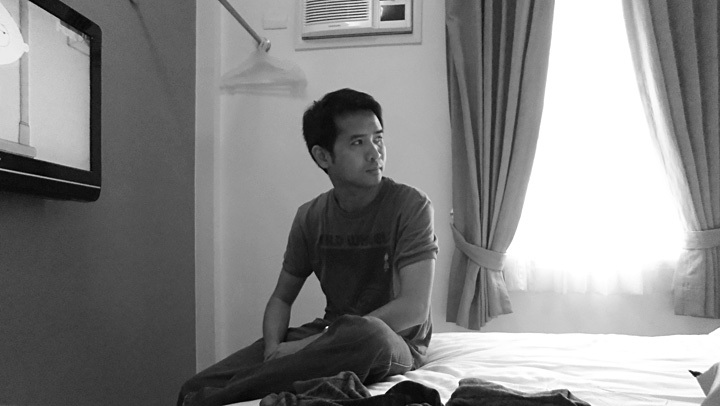 The Go Hotel I tested was in Mandaluyong City. Good Quality: The room fixtures and shower are modern in design. The rooms have floor to ceiling windows which is a plus. Recommendation/s: Go Hotel is best for events-oriented bookings like weddings and debuts. Lancaster Suites Hotel is a condominium-hotel in Mandaluyong City that I've been choosing to stay in for my birthday getaway for the past 3 years. It's surrounded by mid-rise buildings so most of the rooms have good views of Makati City in one side, Quezon City or Pasig City in another. This can be considered to be between a standard and a first class. The elevators, lobby, and room hallways are as decent as the room interiors and show the quality of a first class. This hotel is located near the intersection of EDSA and Shaw Boulevard. Overnight Rate: A standard room may set you back up to P4,000 as of late 2012 but you can always request for a discount that may result in a P3,200-3,400 room rate. Good Quality: This hotel has the expected high security of a standard class. All rooms have wonderful views and are spacious, but the one thing that makes me return to this is the bathtub inclusion in the standard room. Recommendation/s: Lancaster Suites Hotel is best for couples on a tight-budget romantic getaway or a solo traveler who can't afford the nearby Ridgemonde Hotel. Read more on Cube 24-7. 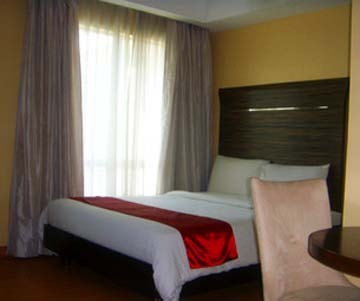 Gran Prix Econotel-Manila is located at the heart of Ermita in Manila. It's a good walking distance from Robinson's Mall-Ermita and various recruitment agencies. What most foreign tourists like about this econotel is its close proximity to the airport. 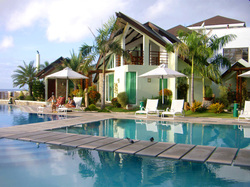 They find it convenient to choose Manila for their stay over the cities of Makati and Mandaluyong. I chose the Deluxe 2 room which had a bathtub (room rate of P2,100). Good Quality: For any transaction that one has in congested and crime-ridden Manila, a safe accommodation is considered rare. This econotel offers that security and escape from the hustle-and-bustle of the city. Recommendation/s: Gran Prix Econotel-Manila is best for travelers with transactions in Manila or tourists that need to travel in the provinces the next day. 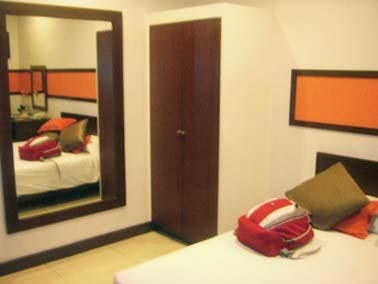 Hotel878 is a condominium-hotel which most budget hotels are in Metro Manila. This one started off as a condominium with related facilities and was later converted into a hotel. This is located in Libis, Quezon City and in close proximity to my residence in Pasig City so this establishment offers the convenient respite from any domestic mishaps like emergency plumbing problem or a case of a visiting relative needing an instant accommodation. Good Quality: There are not many affordable hotels in the Pasig City-Quezon City area (The Orange Place is another) so the location of Hotel878 is sought-after by those with transactions in the area. Recommendation/s: Hotel878 is best for provincial travelers with relatives residing or have transactions in the Pasig City-Quezon City area. Read more on The Philippine Guild. When making a reservation over the phone, you can request for a discount and the reservations officer will be happy to give you one if the hotel has an ongoing promo. I almost always get a discount between P1,000 to P2,000 because I simply ask for it. 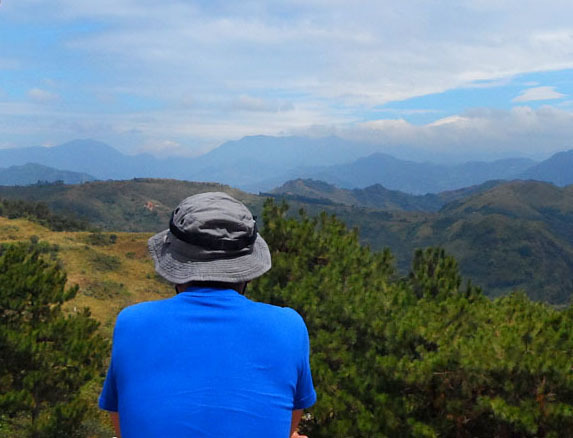 Most people I know head over to Sagada to test their bodies. The adventure that they seek in that Mountain Province municipality is unique in the area and can't be disputed. Mountain trekking, spelunking, etc. If you've been to that part of the northern region, chances are you went back to Manila spruced up for another back-to-nature's-dirt itinerary. 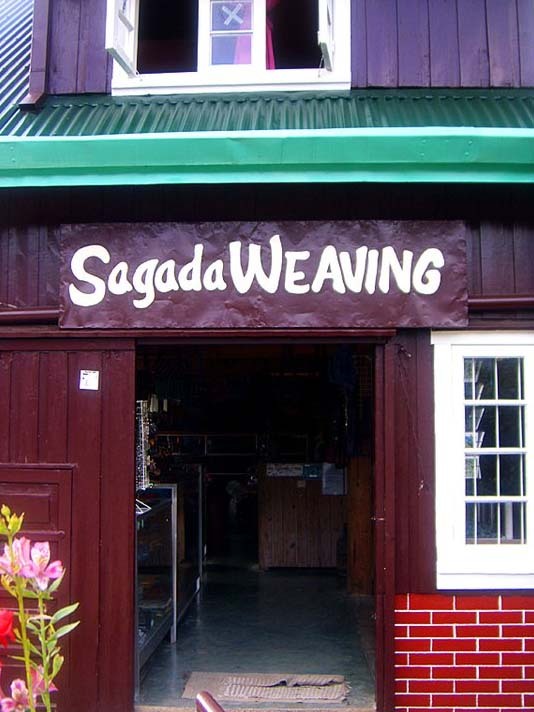 Certainly, one does not visit Sagada once only. I have so far visited it once. I'm looking forward to returning. The first time I was there was about relaxation and communing with nature. 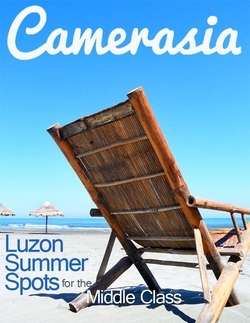 Since I'm not in any way scruffy and very agile for body-enduring adventures, I will be returning to one of the Philippines' favorite Luzon-based travel destinations for the same goal -- to relax and commune with nature. 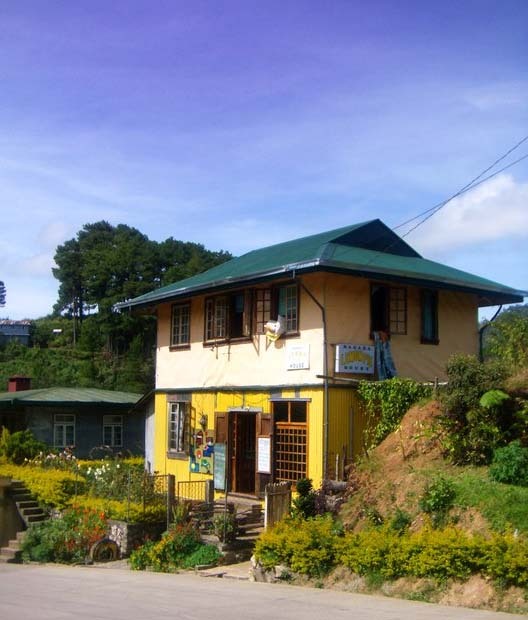 Instead of testing my body and further exposing it to the elements for fun, I'd want to seek out that quaint-looking inn in the middle of the woods of Sagada again. No artless budget houses for me. I see enough of those and live in one in Metro Manila. There's certainly more to my northern exposure than a modern cemented cave. Besides, commuting to the Mountain Province via Baguio alone is an adventure already. By the time I get to my destination again, I'd want to stay in Rock Inn & Cafe and experience the solemn silence of a peaceful retreat. No TV set. No radio. All pine wood scent. Nothing but pine trees outside my room window. 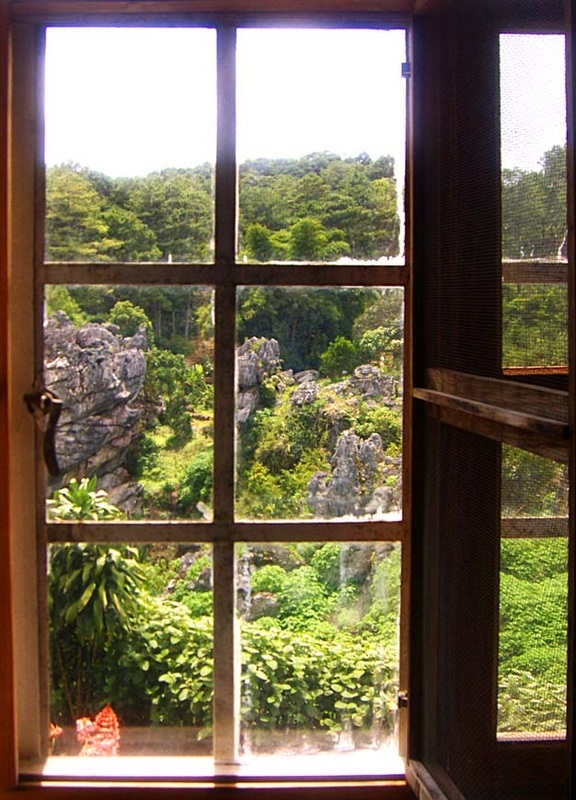 It was the environment I had during my first visit of Sagada and I intend to have it again. I can always keep the adventure at bay... maybe for my third visit. No one needs to hurry when one is in Sagada anyway. 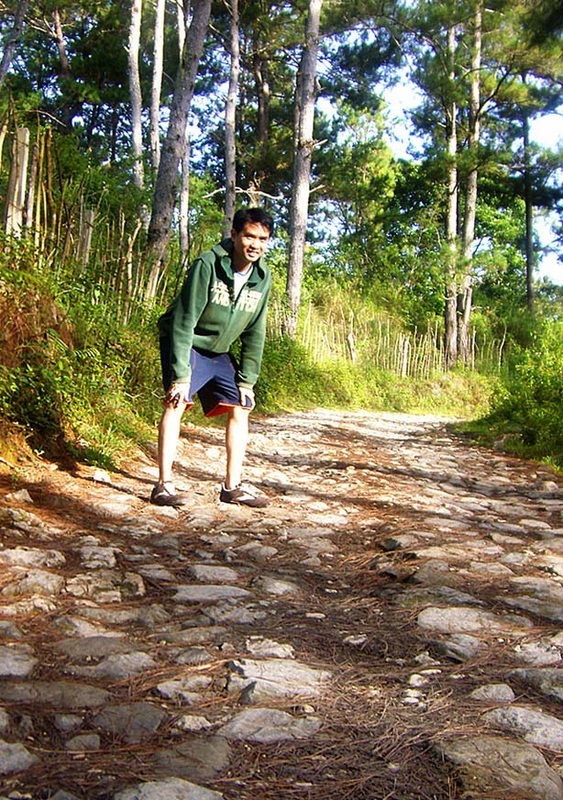 For my first time experience in Sagada, visit my travel blog, Turista Trails. When in mainland Luzon and itching to get away from the hustle and bustle of city life or the workplace, you can only daydream of backpacking and finding a secluded beach that no one has heard of. You are most probably a professional with limited vacation leave credits and can't possible miss a day or two of work because of mounting bills waiting to be paid. In this day and age, you are called the middle class. A middle class person's standard getaway is usually still part of one's work. It's either an out-of-town assignment or a company excursion for team building. It's always never your choice of destination and certainly is never truly fun. 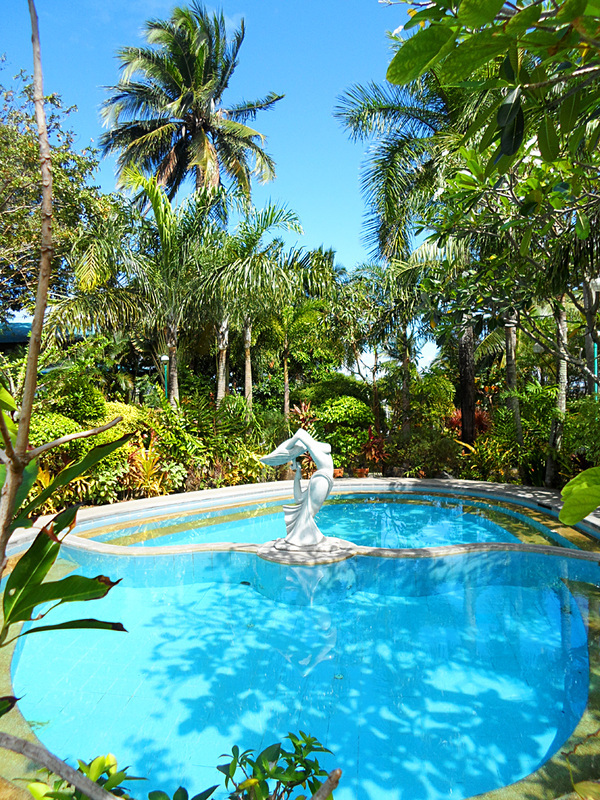 Good Value: Numerous activities to do -- pool and beach swimming, fishing, etc. See more photos and read more insights on Turista Trails. • Does it come with free breakfast for two (2) people? • Is there a bus or van commute from the city to the hotel/resort and back? • What are the activities that I can experience aside from pool or beach swimming? 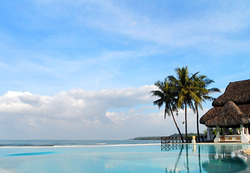 • Is mobile signal and internet wifi access possible at the hotel/resort? 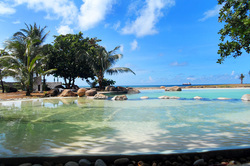 • Is the food serving at the hotel/resort good for 1 or 2 or more people? • (reservation over the phone) Can I request for a discount. How much then can you give me? Karl Ace is a University of Santo Tomas (UST) graduate of Fine Arts and a certified Odesk Online Article and Blog Writer. He's a work-from-home consultant on weekdays and a local tourist on weekends. As an advocate of point-and-shoot photography, he always ascertains that the less intrusion on the subject, the better. See his snap shots.